With three rounds of even par 72, and one round of 77 Dechambeau completed his first Masters tied for 21st. place. His score of +5 was good enough to earn him low amateur honours . Pictured below are the irons he ended up playing at the Masters. Many amateurs would not be caught dead playing with a set of irons that look like the irons Bryson Dechambeau used at the Masters this week. 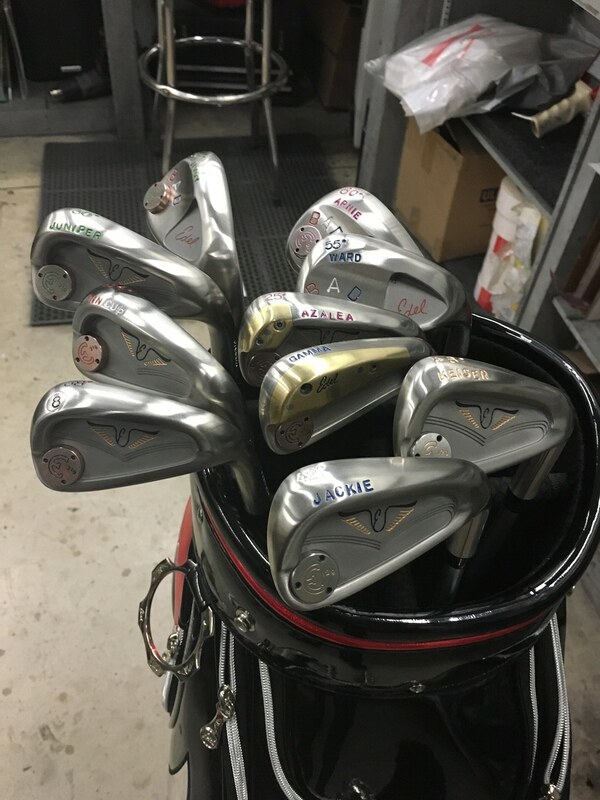 Granted, they are not the prettiest irons I’ve ever seen but more and more I’m coming to the realization that appearance is far less important than performance. For many of us who are interested in the single length iron and single plane swing concepts, the Master finally provided us with an opportunity to have a good look at Bryson’s clubs and more importantly, his swing. I still marvel at how accurately, and how far he is able to hit the ball with such and upright swing. I’ve included links to a number of videos from the Masters that display his swing action from different angles. Make particular note of his right arm to shaft position even with his longer clubs. They provide and excellent example of the single plane swing setup. thanks for the videos – of course I watched a lot of the Masters – Jordan Spieth made his quadruple bogey on a par 3 (twice in the water – just like I did in our French championship tournament last month…! !